The Bread House here at Cromey is a gem of a kitchen. 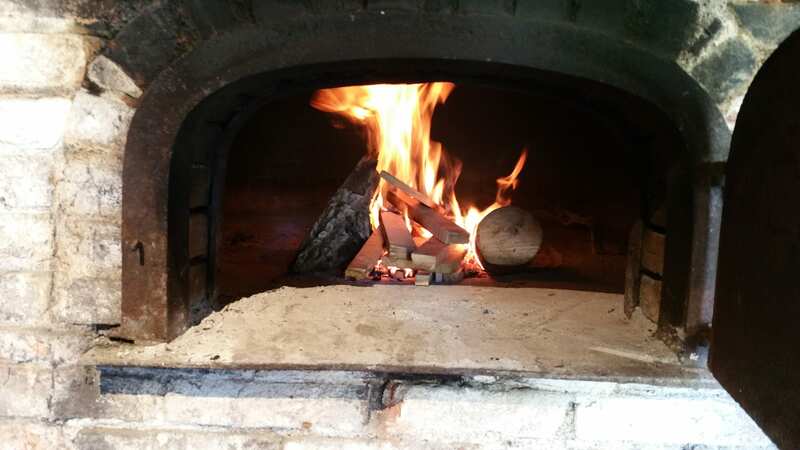 So little by little, we are learning the secrets of wood-fired oven cooking. And a few nights back, it was trial by fire, so to speak! 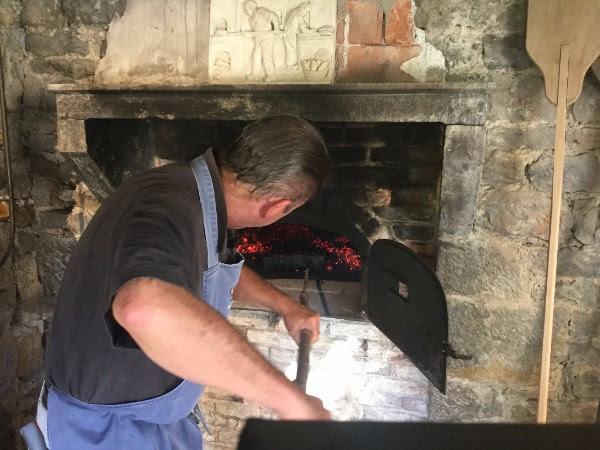 Our house guests were complicit, but nevertheless, the decision to make an entire meal in the wood-fired oven was a challenge to us at this point. 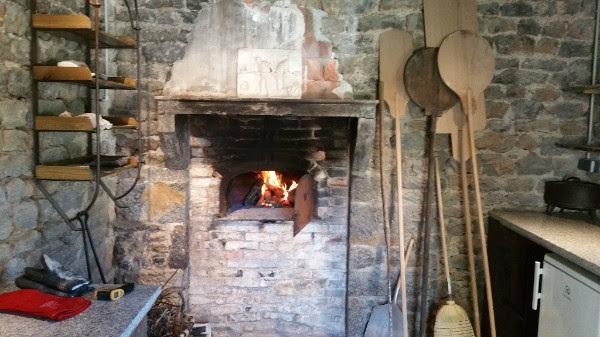 We lit the fire at 3PM and burned until we had an even all-over heat of 600F (measured with a laser thermometer). The menu was as follows, but the order of cooking was nothing near to the order of the courses! First in the oven was the Cherry Tomato Gratin, which we kept off the oven floor using 2 small logs as a base. 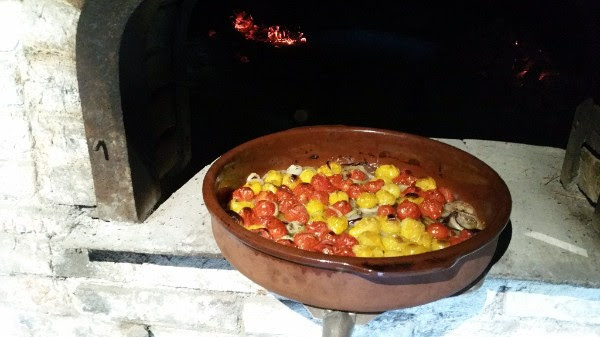 The convection heat from the open flames quickly caramelized the tomatoes and they burst their juices into the casuela. 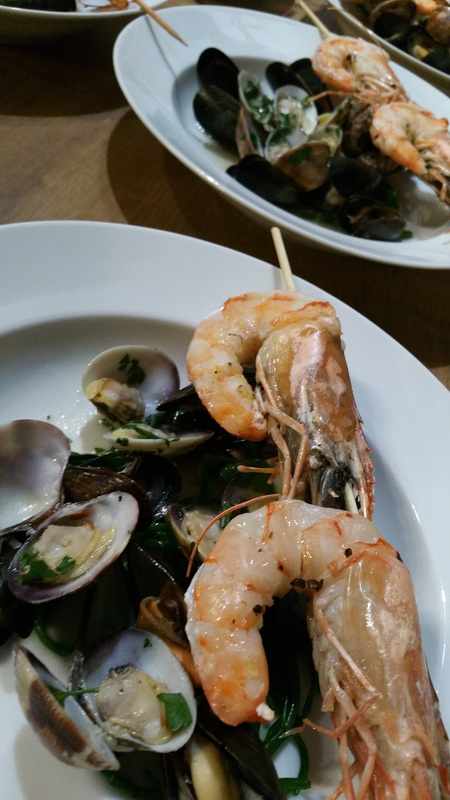 Next up was the cassolette of fruits de mers…clams, shrimp and mussels, which we served with some thick-cut bread that we rubbed with garlic and olive oil before grilling on the oven floor. Then came the Swiss Chard gratin and the fresh coco beans that slow-cooked in a classic bean pot. We finished with a blueberry and yellow plum tart, that glazed beautifully. At the end we were sweaty, exhausted and buzzing with the knowledge that we had passed to a higher level. 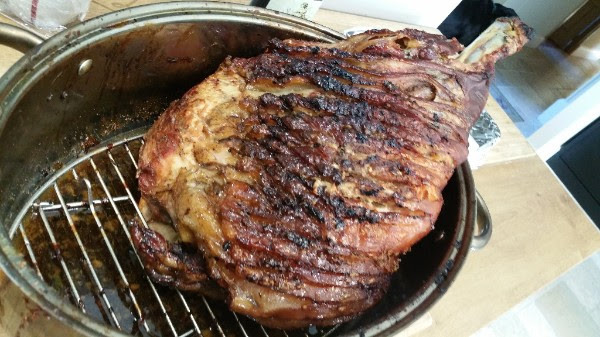 And lastly, just before heading off to bed, we put an 8kg Pork Shoulder (which we had scored and rubbed with garlic and fennel seed paste) into the still hot oven to cook over night. 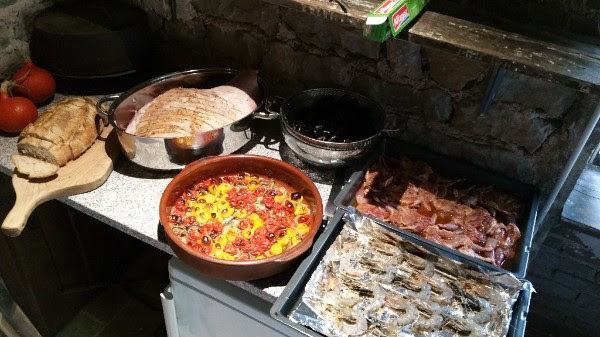 This photo is the following morning, as the breakfast room filled with smells of pulled pork and barbecue! Our 4th trip with you, and it just keeps getting better. Ellie’s food…words have no meaning.